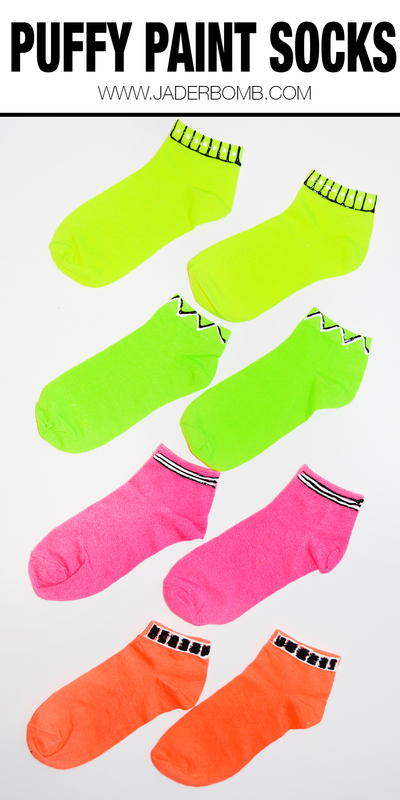 Happy Painted Neon Socks Day! It’s been a hot minute since I made an appearance on the blog and I promise that was temporary! I have been so crazy busy lately and I am now back in the groove of things! It’s kinda funny how life can get so overwhelming, but in a good way! Check out this NEON DUCK TAPE bag I made it would go perfect with these socks! I have this “SLIGHT” obsession with socks. Anytime I go into a store and I run across socks with prints I go nuts. I am not sure why because you will rarely find me wearing tennis shoes. I am a Birkenstock kinda gal so the sock things is kinda odd. Yes, I have a drawer full of neon, colorful, printed, patterned and anything else you can think of socks. Which brings me to THIS post. I found this pack of socks at……Michaels! Yes, Michaels. I was kinda shocked at first but I can’t lie my insides kinda had a party inside when I saw them. I immediately grabbed one of each color as fast as I could. I am really proud of myself that I didn’t grab 3 of each color, seriously! I knew I wanted to jazz them up but I wasn’t sure how. These pretty babies stayed in my studio for a hot minute… ok they got lost in my studio but when I finally ran across them my insides had a party all over again. That day I was into my Tulip Dimensional paint so the Universe answered my design question for me. I realized this was something anyone can do, especially kids. Let’s face it – kids love to create! Adults do too! 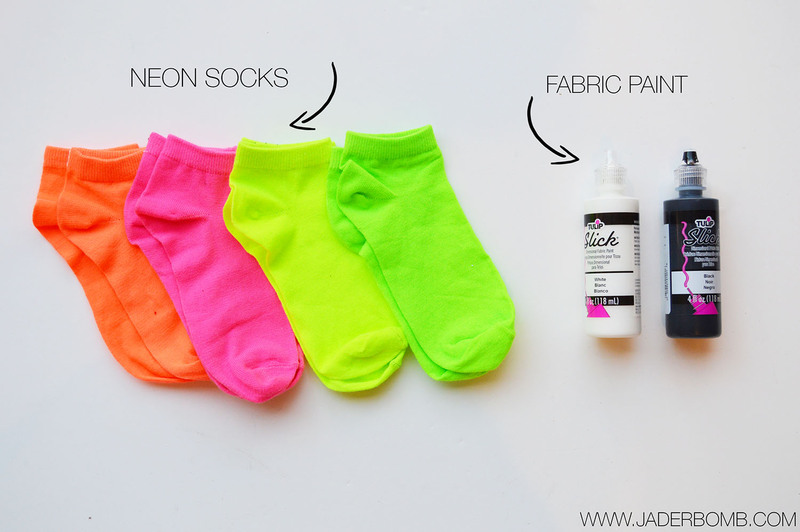 Let’s get started so I can show you how to enhance your socks in 10 minutes! You can click on the links above to order all of the products I used in this tutorial. P to the S : These are affiliate links which mean when you click on them and order your products from Amazon you help me feed all of my baby chickens. Seriously. So, thank you! Plus I am totally making your life so easy, right! I could tell you this project is super hard but I would be lying. It’s actually super easy! I wanted to create very subtle geometric designs on my socks so I only did the top part of them…. They turned out fabulous and unique. Every time I wear them I get stopped…well not really BUT I have had a few people ask me where I got them. Remember, I am a Birkenstock chica so you won’t really find me wearing socks! I kinda fell in love with each pair but I absolutely love the pink with black and white stripes. Leave a comment in the comment section telling me which pair is YOUR favorite. 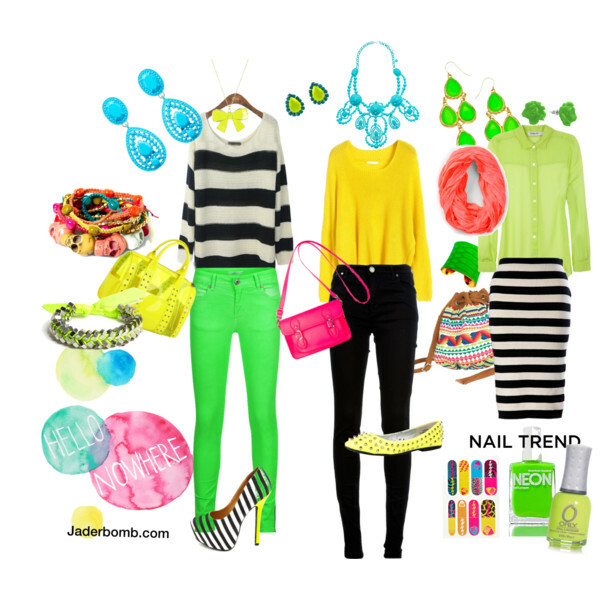 Since I love NEON so much I thought I would share with you this neon fashion roundup I did a while back. Yes I still love every single thing in the picture below even though this post was done a few years ago. I hope you enjoyed this post! See y’all tomorrow where I will be showing you my last post for this years Michaels Makers program! 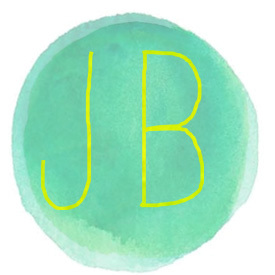 I will give you a hint… You will see lots of black, teal and yellow!